Below is a link to issue 34 of Westside Weekly newsletter. It contains plans for the next stage. 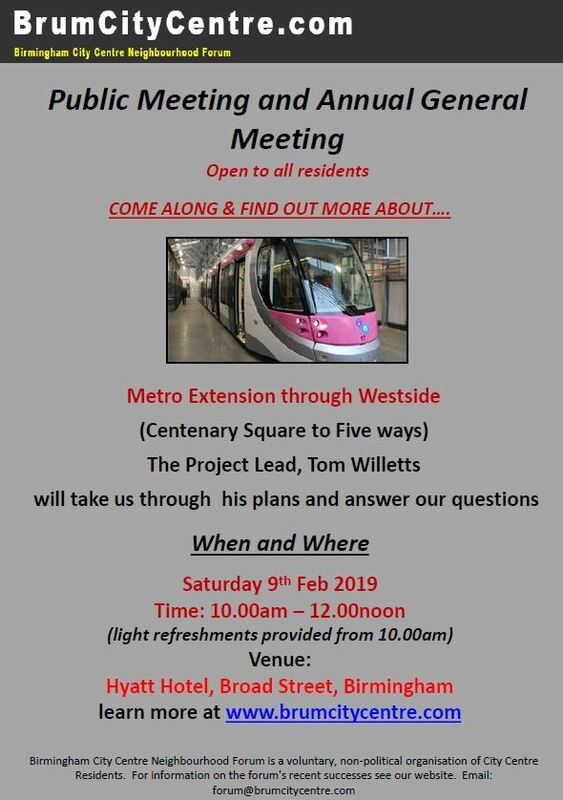 You can get a live explanation of this plan delivered by the Project Lead, Tom Willets, at Saturday’s free public meeting at the Hyatt Hotel in Broad Street from 10:00 to 12:00. See below for the poster on this and a link to the Westside Weekly Issue 34. View Westside Weekly Issue 34. Everyone is welcome and light refreshments are available at 10:00. Come and enjoy the informal atmosphere. This entry was posted in Uncategorized on February 8, 2019 by Geoff Caine.